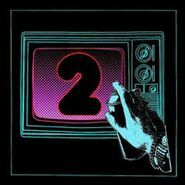 Producer Johnny Jewel, who gives Italians Do It Better acts like Chromatics and Glass Candy their faded disco sound, puts together this second After Dark compilation, following the excellent 2007 edition and the great albums from its artists that rose in its wake. Besides the aforementioned, Desire, Mirage, Appaloosa and other acts appear who reference disco, freestyle and synth pop to create hooky yet curiously detached dance music, making After Dark 2 a sort of out-of-time and out-of-body experience. The compilation is elegantly paced, beginning with a party-starter, Glass Candy’s “Warm in the Winter,” all glimmering beats and ecstatic coos. Mirage’s “Let’s Kiss” offers robotic-voiced romanticism, referencing classic electro and piling new synth riffs on top off each other for nine glorious minutes, immediately followed by a nice slice of italo disco with Appaloosa’s appealingly-accented “Fill the Blanks.” Of course, Johnny Jewel saves the best beats for his Chromatics project — “Looking for Love” features a nasty disco-noir riff, while “Cherry” is more in tune with the act’s second album, the terrific Kill for Love, with bleary, shoegaze guitars and dreamy vocals dueling with the song’s glittery synths and minimal-funk underpinning. Of course, with a Johnny Jewel production, you get perfectionism but also elongated set times and mid-album lulls, as the 78-minute comp early makes room for a Symmetry track (Johnny Jewel’s largely vocal-free solo project) that makes for nice atmosphere but kills the momentum a bit. However, patience pays off with the album, as its ebbing and flowing energy gives the album a dark post-midnight vibe and makes the album more listenable all the way through, rather than having furiously hard-hitting tracks one after another. It leaves you feeling like you’ve just woken up after partying it up a German disco that you may have only dreamed.